Prolight+Sound 2017 was the perfect platform for Steinigke to unveil a real quick-change artist, with the Eurolite TMH-X25 Zoom. 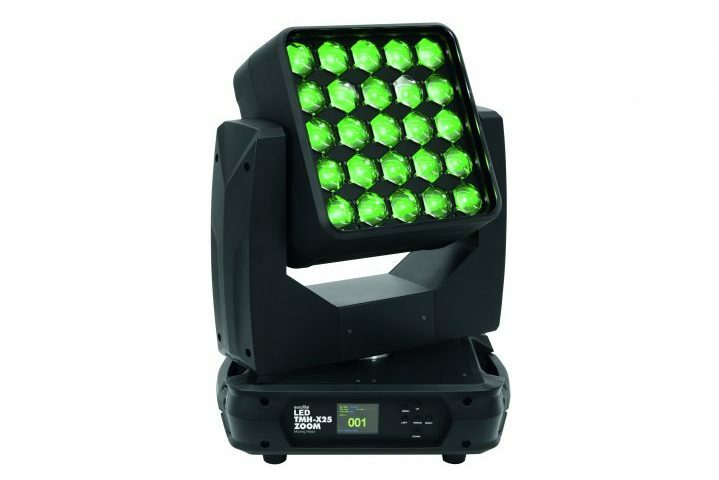 The fixture unites moving head, matrix effect and beam spot in one device, offering the user absolute flexibility at an affordable price-point. 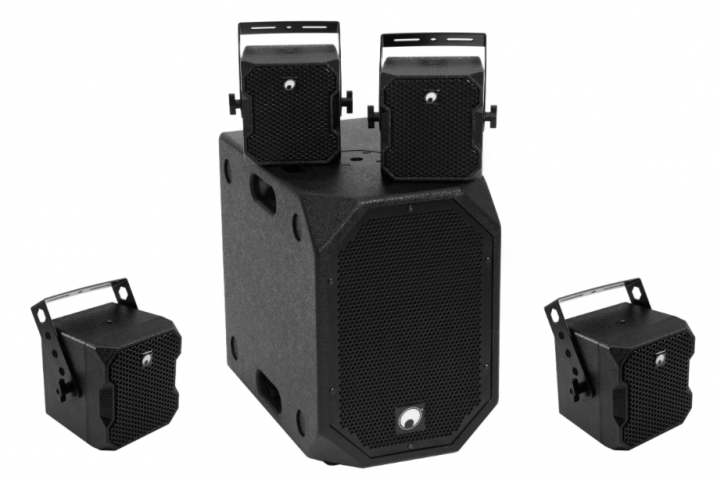 Viewed from the outside, the TMH-X25 looks like a matrix effect on the base of a moving head. 5 x 5 LEDs with RGBW colour mixing are at the light designer’s disposal for creating colourful patterns, numbers, letters or animations. 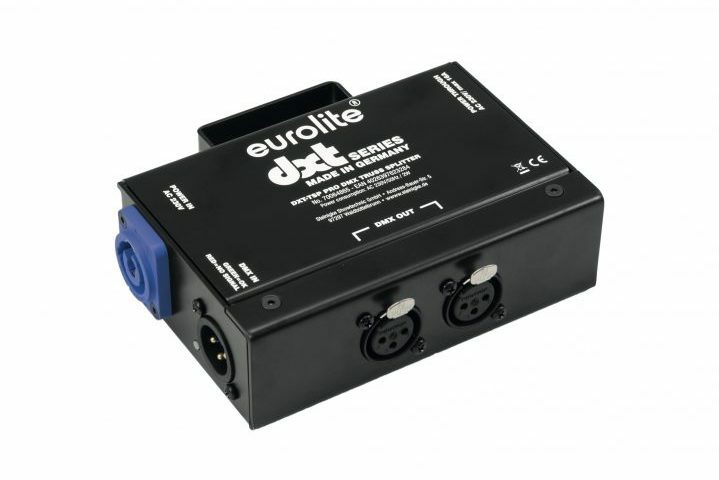 Each LED can be controlled individually, with device control over either DMX or Art-Net. On closer inspection, you uncover the zoom range of the fixture, which changes the spot’s beam angle step-free from 7.5° to 60°. This way, the moving head can also be used as a beam spot, with the 25 LEDs of 12W each providing plenty of output to produce a powerful beam. Thanks to its Infinity function, the moving head can move endlessly in the PAN or TILT direction. 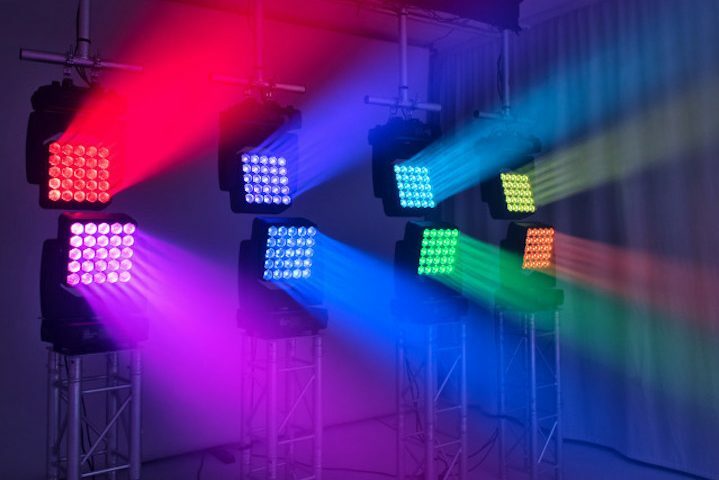 The impressive effect can be used for different purposes thanks to its versatile features: As matrix effect in a club, as beam effect on live stages or as background light in TV studios. 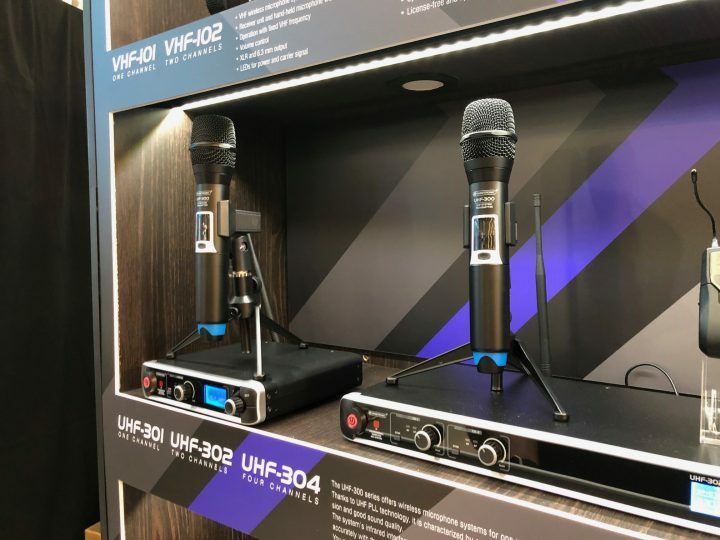 Whatever the application, the TMH-X25 can add great aesthetic appeal to a stage, with its motorised zoom and the Infinity function make the spot incredibly flexible.